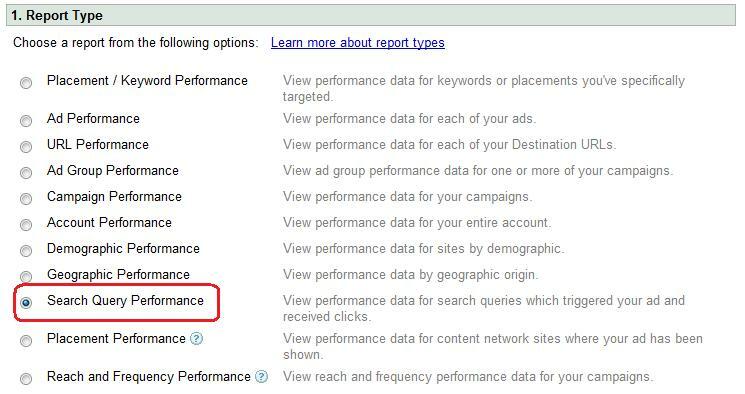 Google AdWords offers a report called Search Query Performance report that can be a very powerful tool for improving your Google AdWords PPC campaign. As I mentioned in my previous post on keyword research, keyword selection can make or break a SEM campaign. You can utilize keyword research tools such as Wordtracker, Google AdWords keyword tool and SKTool to identify keywords that you should add to your PPC campaign. No matter how careful you are in selecting your phrases and identifying negative keywords in advance, if you use broad match, there is a good chance your ads show up for not so relevant search queries. 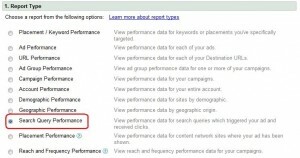 AdWords Search Query report can help you identify the exact phrases that have triggered your ads. You can use this Google report as a negative keyword generator which helps you suppress your ads from appearing for irrelevant search queries. Excluding irrelevant keywords can help you improve your CTR, get more relevant traffic, improve your conversion rate and reduce your cost.